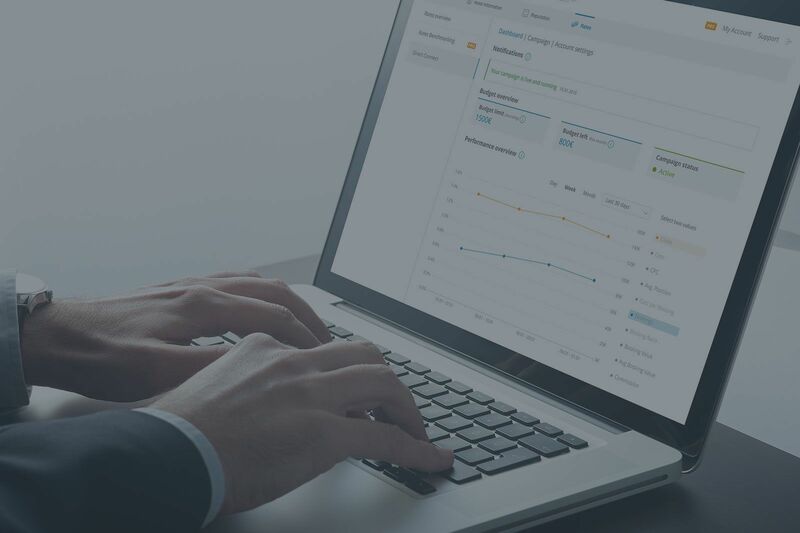 Direct Connect enables hoteliers to easily promote their website rates on trivago and increase their direct bookings. 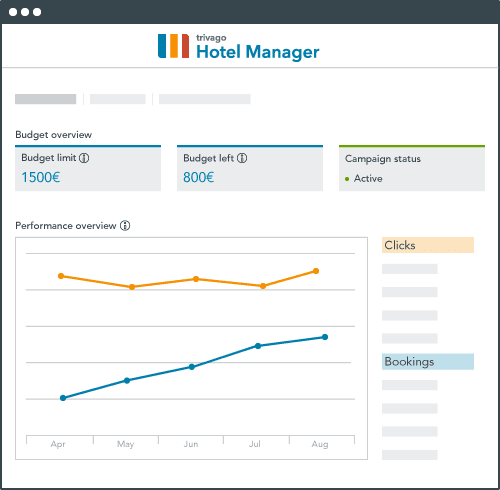 The campaign management tool allows hoteliers to run cost-per-click campaigns and monitor their performance through trivago Hotel Manager. Step 1. Log in to your Hotel Manager account and select Direct Connect. 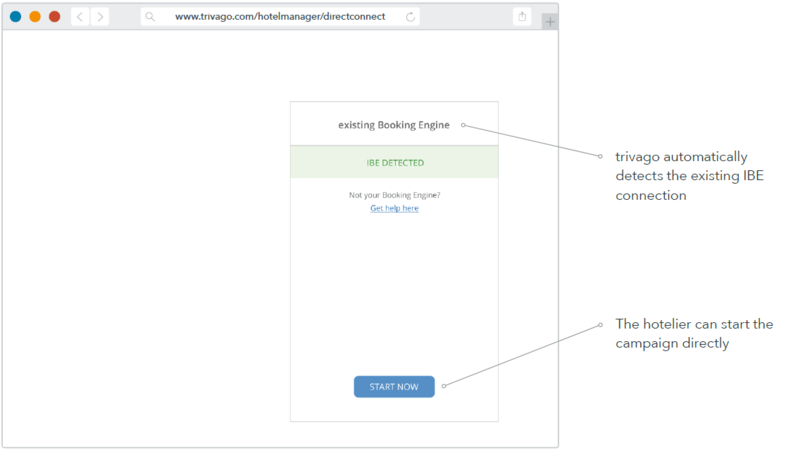 trivago should automatically detect WebHotelier as your IBE connectivity partner. Press Start Now to begin. Step 2. You decide how much you want to invest and can change your budget at any time. After you select a budget, the CPC is automatically adjusted. Step 3. Let trivago know where to send your monthly invoice. No advanced payment is necessary. You are ready to launch your campaign! WebHotelier not automatically detected as your connectivity partner? Apply to Direct Connect beta if WebHotelier is not automatically detected as your existing IBE. 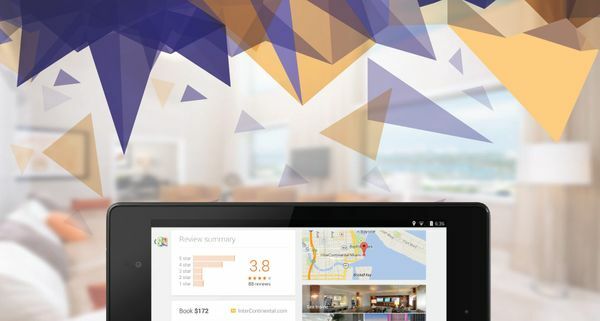 We’re giving the power back to hoteliers by offering full control over the marketing budget. They will enjoy complete budget adjustment functionality as well as capping control. Additionally, trivago provides consultation about how to best put their monthly budget to use to see powerful results. 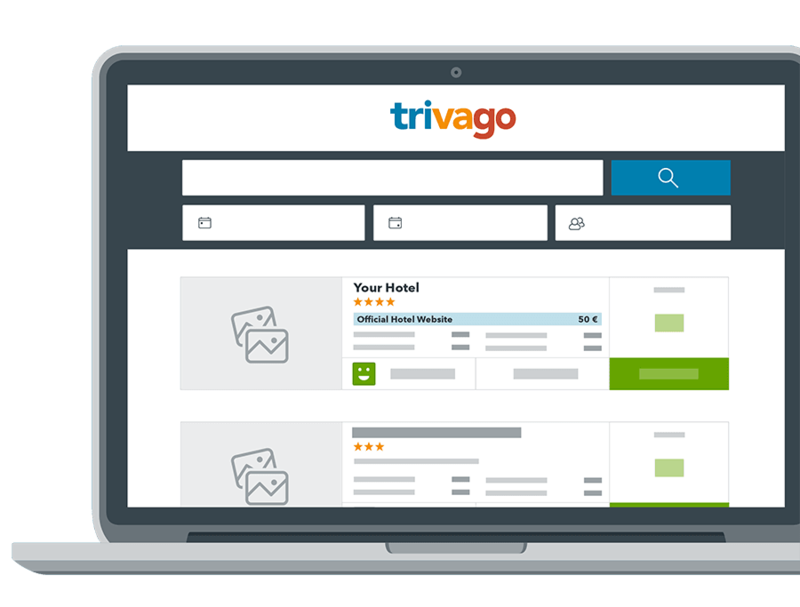 trivago's solution provides automatic CPC optimization to keep the hotel competitive. 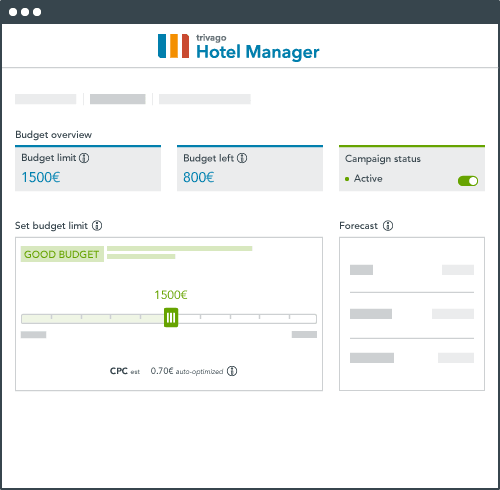 Hotels only need to provide their budget, and the CPC will be automatically set, based on the existing competitive environment.